Why do anime characters have official birthdays? Why do they decide for the anime characters to have birthdays? Does this have a historical basis? And when exactly is a character's birthday decided? Is it when a character's physical appearance is drafted? What is the birthday's significance? Why shouldn't anime characters have official birthdays? It would be strange if they didn't have them! Over in the west animated characters are given birthdays also. 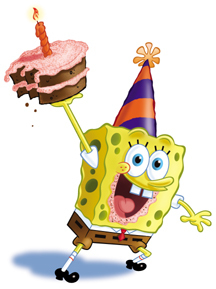 Spongebob's date of birth is July 14th, 1986. Presumably the addition of birthdays is just to make characters a bit more realistic. 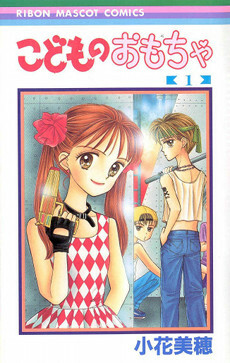 And occasionally it helps with character, For example in Kodocha, Akito was given his name as he was born in autumn. Sana was named so because she was born on 7th march. Sometimes an author will release a 'databook' with information about the different characters including dates of birth, blood types etc. 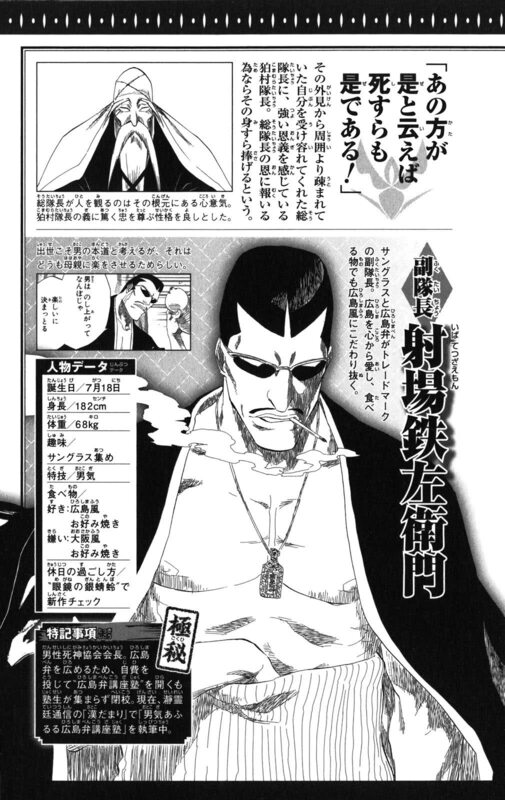 The example below is an excerpt from a Bleach databook. Birthdays of course can be shown to in the actual show's content, in which case the day the episode was first aired is taken to be their birthday. As for historical significance, authors have been giving fictional characters from day one. TL;DR: Fictional characters are treated as non-fictional characters to bestow a sense of realism on them, so why shouldn't they have birthdays, blood types and everything else we have? Why are wash pans dropped on a character's head?